The term “fixed income” comes from the fact that these instruments often have pre-set (fixed) pay-outs. For example, a standard bond has a stream of set periodic (coupon) payments and then pays back the par value at maturity. The value of such a security is based on the current market interest rate in an inverse relationship (price rises as rates fall and vice versa). Eurodollars are the US Dollars on deposit outside the United States. They are part of the Eurocurrency market where a Eurocurrency is one on deposit outside its country of origin. Similarly, Euroyen is Yen on deposit outside of Japan. Eurodollars are traded in the futures market. The leading Eurodollar contract is traded on the Chicago Mercantile Exchange (CME). It is the second largest exchange traded derivative instrument, in terms of contracts traded, in the world. Only the Korean Kospi200 options contract trade more contracts. A Eurodollar future is defined as (100-r), where r is the interest rate on a US dollar deposit overseas for 90 days, starting at the expiry of the future. CME lists many different expiry dates as long as 10 years out with at least one future per quarter and for shorter maturities one every month. Most of Eurodollar trading is done as time-spreads with two or more contracts. T-Bills are short-term debt instruments issued by the United States Treasury. They have maturities of 1 year or less at the time of issuance. Notes, like bonds are debt instruments that obligate the issuer to pay to the holder the principal (the original amount of the loan) plus interest. They normally have maturities of 2 years to 10 years at issuance. Bonds are financial instruments representing debt obligations issued by the government or corporations; they usually pay a yield or coupon. From a trader’s perspective, a bond is generally an instrument with an initial maturity of more than 10 years. This is in comparison to notes which are 2 to 10 years in maturity at issuance. Bonds issued by the US Treasury, so called Treasury Bonds, have been among the most actively traded financial instruments globally. While issuance of the bonds, which are 30 years instruments, was discounted, bond futures continue to trade actively. These are bonds issued by companies to finance major projects. Bonds trade as part of the fixed income market. As such, they are transacted in several ways. Corporate bonds often transact on stock exchanges. In the US, most individual bonds are traded over-the-counter, though some are listed on the New York Stock Exchange. Government bonds can also be traded via the futures market. Fixed income prices are based on the principle of discounted cash flow. Each payment a given security pays (coupons or other interest payments, plus the final par value) is discounted back at the market interest rate. They are needed to add together to come up with a current value or price. Fixed income security prices are inversely related to price. When interest price rise, prices fall. 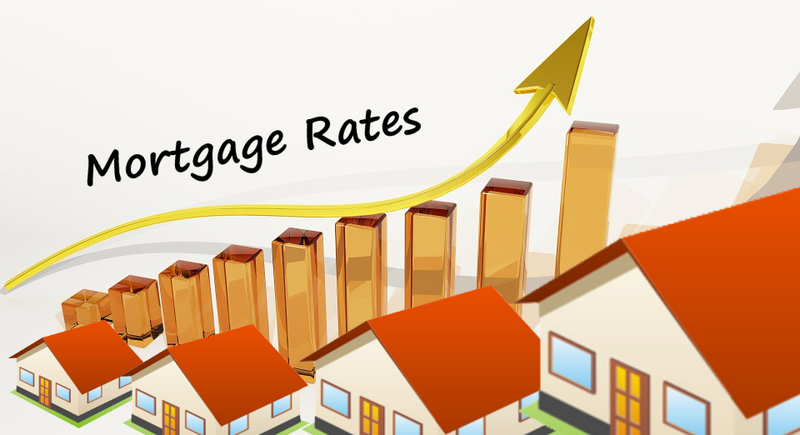 As interest rates fall, prices rise. Strong economic growth tends to lead to higher rates as investors seek better returns and concerns about inflation. General inflation is a fall on the market value or purchasing power of money within an economy, as compared to currency devaluation which is the fall of the market value of a currency between economies. General inflation is referred to as a rise in the general level of prices. The former applies to the value of the currency within the national region of use, whereas the latter applies to the external value on international markets. The extent to which these two phenomena are related is open to economic debate. Inflation is the opposite of deflation. Zero or very low positive inflation is called price stability. In some contexts the work ‘inflation’ is used to mean an increase in the money supply, which is sometimes seems as the cause of price increases. Some economists still prefer this meaning of the term, rather than to mean the prices increases itself. Thus, for example some observers of the 1920s in the United States refer to ‘inflation’ even though prices were not increasing at the time. Below the word ‘inflation’ will be used to refer to a general increase in prices unless otherwise specified. Inflation can be contrasted with ‘reflation’, which is either a rise in prices from a deflated state, or alternately a reduction in the rate of deflation, that is, the general level or prices is falling but at a decreasing rate. A related term is ‘disinflation’, which is a reduction in the rate of inflation but not enough to cause deflation to creep in, while slower growth will tend to put downward pressure on interest rates. As such, any development which has implications for economic growth will impact interest rates and thereby fixed income prices. The most basic way one can trade the fixed income market is by taking an outright position in one of the instruments listed above. To do so is to take a straight forward position based on the direction of the interest rates, at least so far as the price of the security in concerned. Another approach to trading fixed income is via the yield curve. The yield curve is called so because it is rarely straight. 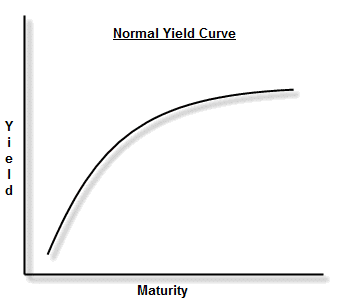 A normal yield curve is upwardly sloping, long term interest rates are higher than shorter rates. An inverted curve is the opposite, short rates are higher than long rates. This is essentially a type of spread trade whereby one takes opposing long and short positions with the expectation that the yield curve with either flatten or steepen.